Since our formation in early 2010, SMART have been providing Electrical Service solutions to both Commercial & Domestic clients. SMART is a member of NICEIC, an organisation committed to consumer safety in the Domestic, Commercial and Industrial sectors. NICEIC is the UK’s leading voluntary regulatory body for the electrical contracting industry. It has been assessing the electrical competence of electricians for nearly sixty years and currently maintains a roll of over 26,000 registered contractors. 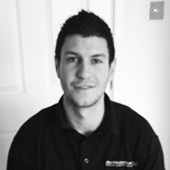 With over 10 years’ experience within the electrical industry Nick has established a comprehensive understanding of all aspects of the electrical industry. After Excelling as an apprentice, roles as foreman, Site supervisor & Project manager soon followed. In 2010, Nick formed N J McHale Electrical Services LTD, and began to build the infrastructure a client base which would set the foundations for SmartFT. Although the company has rebranded, the core values established at the formation are still important as ever. SmartFT will continue to offer forward thinking electrical services to their clients. 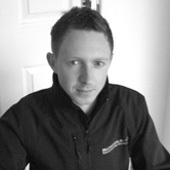 In early 2012 Paul joined N J McHale Electrical Services ltd as a Company Director. Paul had gained extensive experience within the electrical trade, working as an apprentice, Installation electrician & Project manager prior to this appointment. Since joining, Paul has helped to increase the company’s workforce & client base, all working towards the rebranding as SmartFT.